Just found out the final show of this @_DeepPurple tour here in Cancun on Saturday is now cancelled. Thanks to the entire Purple & @InFlames_SWE crew & all the amazing Mexican fans. Headed home now tomorrow in time for Thanksgiving. Well, if there’s one positive thing that can come out of it, it’s that this may give the band another incentive to tour in the future. Because it would be a real shame if Deep Purple live legacy would end under such circumstances. Thanks to Rob Hodgkinson for the heads up. Posted by Nick Soveiko on Wednesday, November 21st, 2018, filed under News. You can follow comment on this post through the RSS 2.0 feed. You can skip to the end and leave a comment. Pinging is currently not allowed. Chris Sigman it is still no proper answer, right? Hristo where is it quoting “Last planned gig”? Last gig of current Mexican leg of tour, not whole tour! We are waiting for them to be back in Europe! Una gran tristeza y decepción, tenía comprado mis boletos hace meses, teníamos la ilusión mis hijos y yo de verlos en vivo y en directo, me parece muy difícil que puedan regresar a México 🇲🇽., Seguirán en mi ♥️, el resto de mi vida, como mi banda favorita. 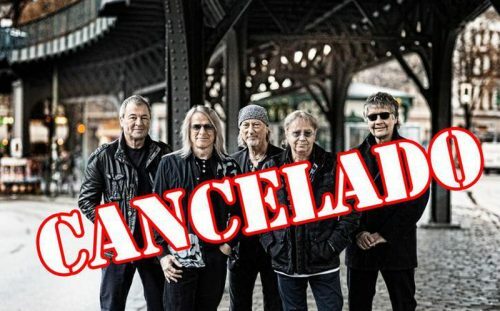 It should be known that ALL the cancelled shows were down to total incompetence, lies and dishonesty on the promoters part. Nothing whatsoever to do with the band, crew or management. There will be more. Yes, maybe for Mexico it was the last planned Tour. this really shouldn’t surprise anyone…disappointed if you had tickets, yes! but not really surprised! were the shows that went ahead good (or better great)? did the boys (including the crew) get paid or are they out of pocket? do they want to carry on? From the interviews they all sounded in fine fettle and looked liek they still enjoy being together. Bradley Johnson, everyone is fine. I believe it’s due to the unrest in Mexico right now. One of their shows was supposed to be tijuana which was canceled as we’re a couple more causing shows to be moved. @ 22 ” Mexico is Bannanas ” LOL!! Maybe they should’ve played at Rosa’s Cantina instead!